The plan connects the redevelopment to the neighborhood and Dunn Park. It features a central art walk. This 297-unit family federal public housing development was constructed in the 1950s. Unfortunately, the construction quality is poor, resulting in significant deterioration and little worth saving. Recent Housing Authority renovations to five buildings cost more than allowed by HUD guidelines and estimated new construction costs. Yet, there is great demand for the housing, with a long waiting list. 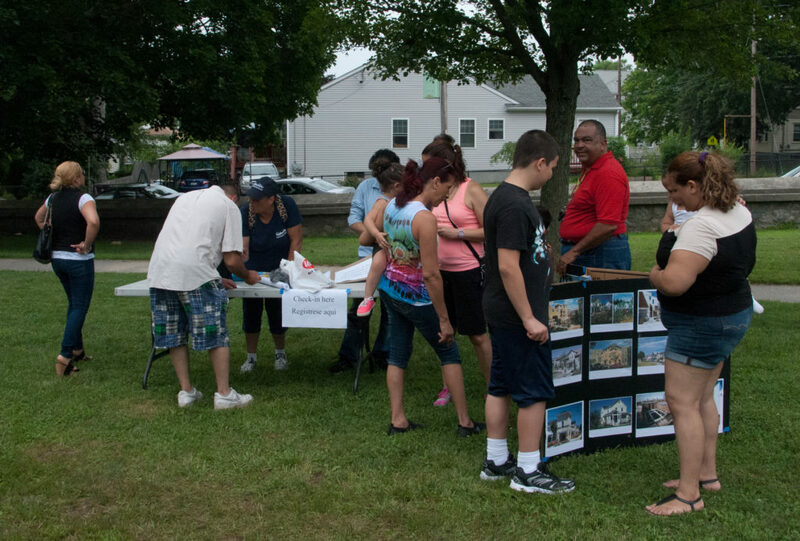 The resident and community informed Choice Neighborhoods plan prepared for Neighborworks Blackstone River Valley proposes one for one replacement. This includes a mixed-income development on the site, scattered site units placed to knit together the neighborhood and providing units on sites that meet HUD area of opportunity requirements. 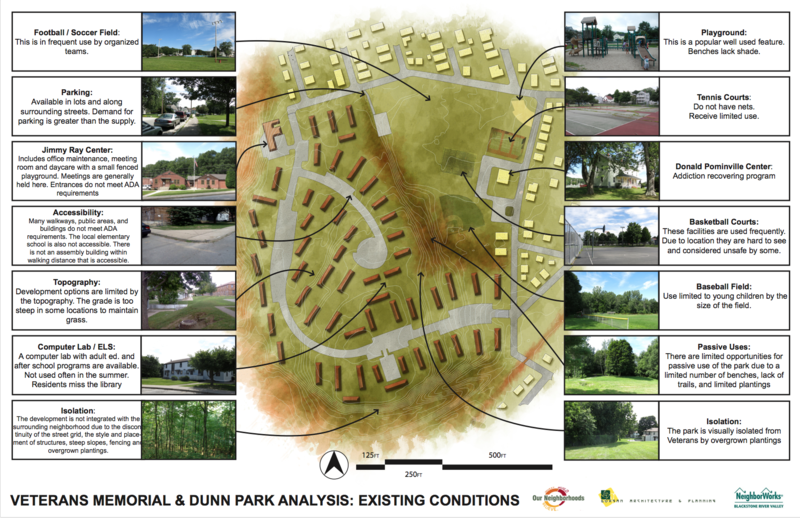 Planning Process, Woonsocket, RI: Principal Planner for this participatory transformation plan for Veterans Memorial Public Housing and the surrounding neighborhood. 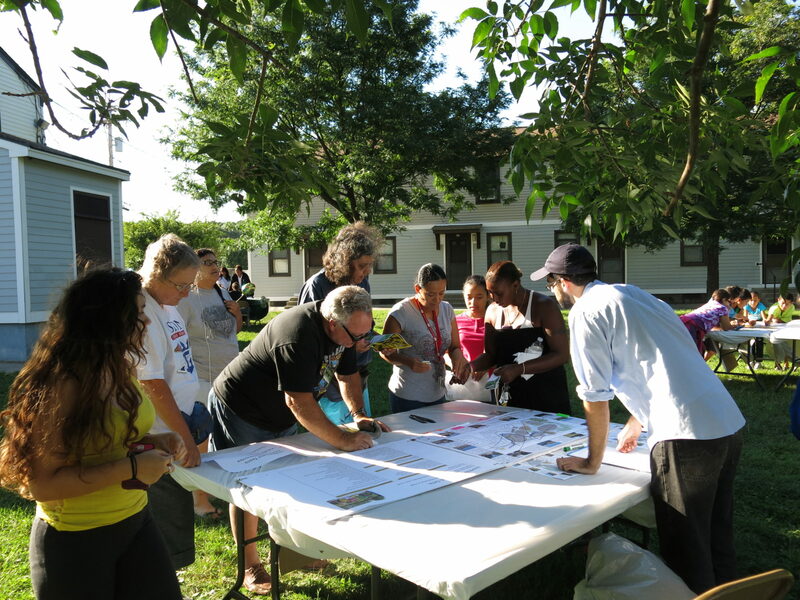 This innovative process with deep community engagement is featured in a Best Practices publication published by HUD and was the subject of the presentation Building Community in Woonsocket, RI, at the Environmental Design Research Association (EDRA) Intensive Mobile Workshop, Democratic Design without Boarders, LA 2015 and the NYS Neighborhood Preservation Coalition 2015 Annual Conference workshop Participatory Planning. Mapping exercises allowed residents to identify existing community assets, challenges and opportunities. Participants used markers, stickers and flags to add to the base map and ariel photographs. Five tables allowed participants to circulate and work in their native or preferred language. Compiled notes on the right were reviewed and supplemented at the next event. 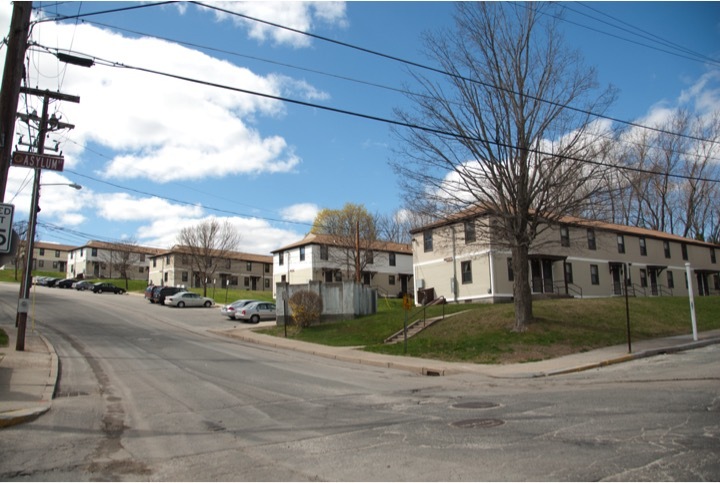 Public housing is isolated from the community by road configuration, site planning and building design. 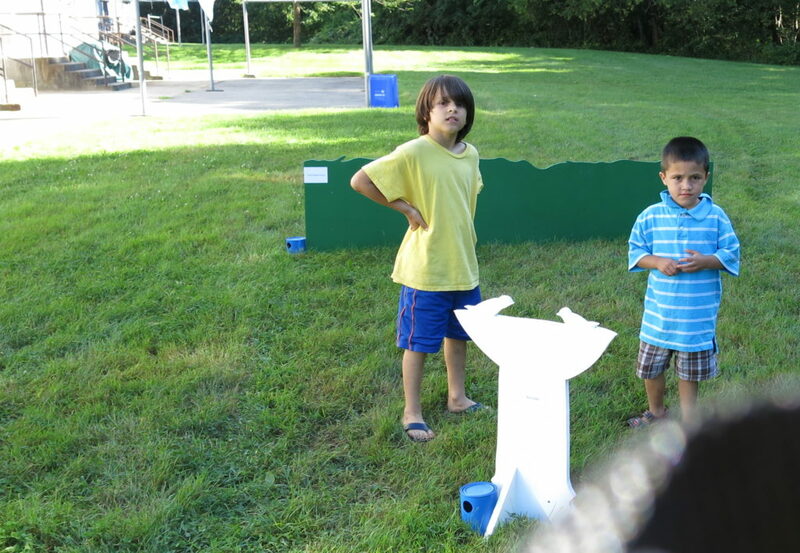 Community members participated in numerous activities designed to elicit preferences for space use, design approach and unit configuration. Community residents participated in a variety of visual preference activities including arranging furniture in mocked up units, identifying a range design parts, and selecting site amenities. Adult preference correlated with youth preferences ascertained through drawing and storytelling. 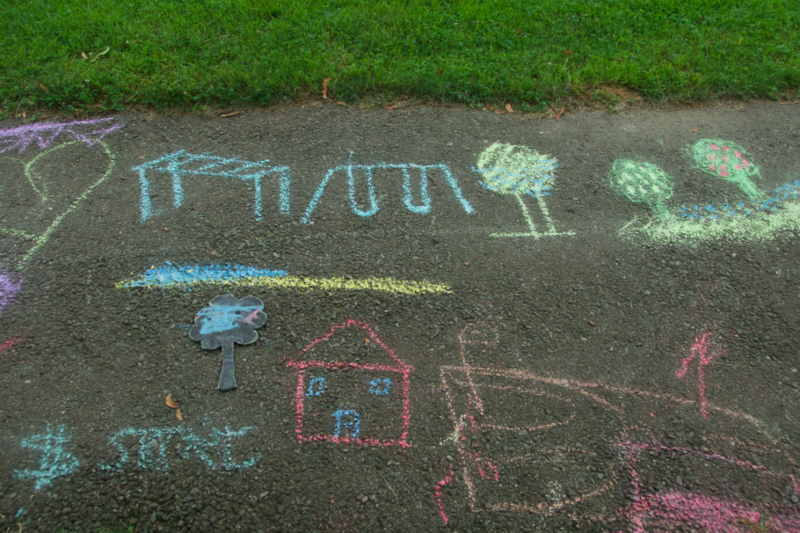 Younger residents were asked to draw features they would like in their neighborhood or near their house. 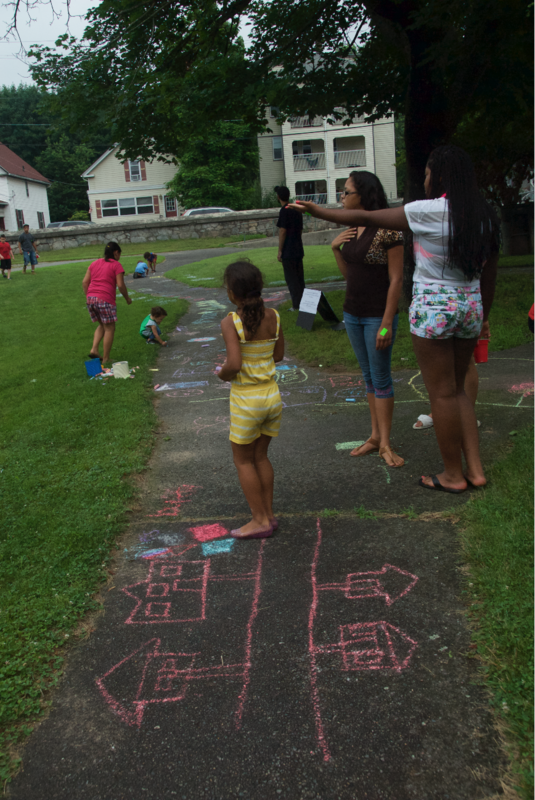 Yard Study: Construction of full scale landscape elements by neighborhood youth informed the site planning process. 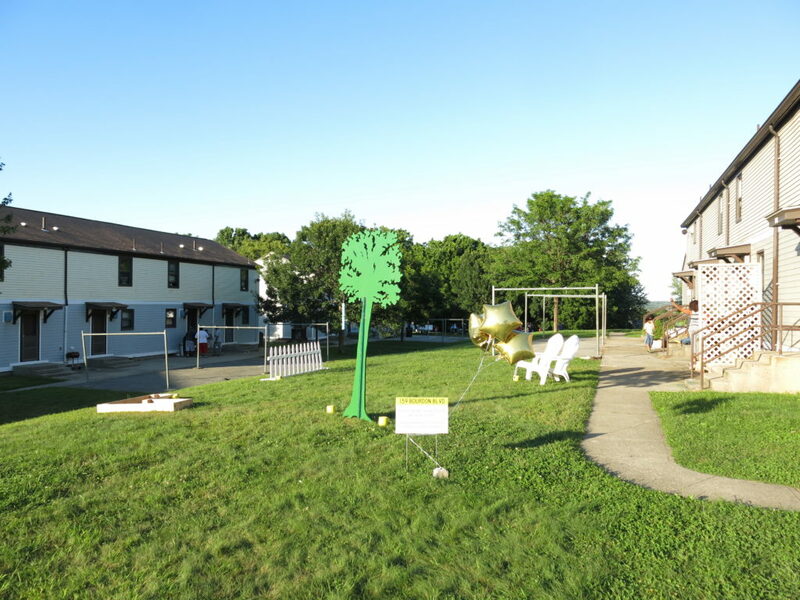 The yard study was a chance for residents to engage with the idea of yard space and vote for their favorite yard elements such as benches, planters, or privacy screens. Three residents volunteered to have their yards filled with several yard elements for a week. During the event, participants were handed a flier that told them the addresses of the the three yards, and directions on how to vote using tickets they could tear off at the bottom of the flier. Each ticket was placed into a can next to each element. 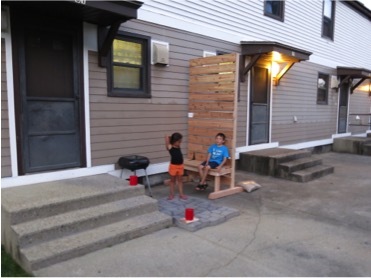 Full sized mock ups of alternative features for private rear yard spaces were built by area youth. 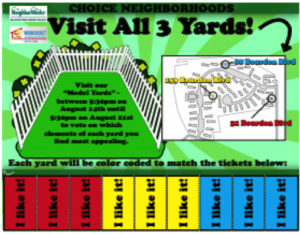 Residents indicated their preferences by placing tickets in colored cans located in three test sites volunteered by the occupants. The surprise top vote getter was a birdbath. 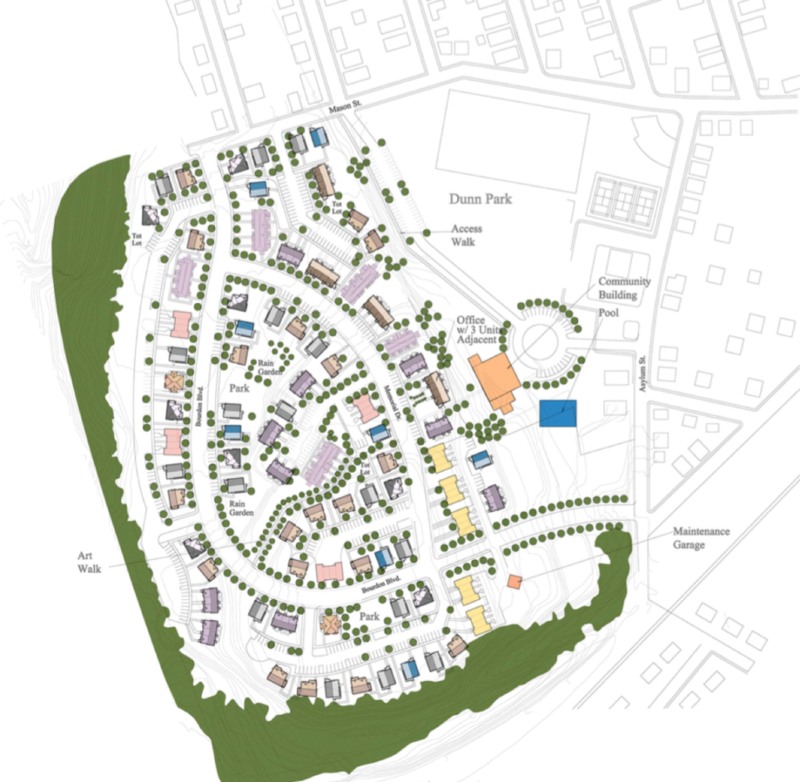 This exercise in defining space is important to defining community goals and the site plan shown.